This adorable card was one of the projects that we made at our Monthly Club in July. We stamped the image with Versa Mark, sprinkled with Black Embossing Powder, heated until set and colored in the toad with Aqua Painters and Mint Macaron Ink. The scallop at the bottom of the card was made with the Square Framelits. I used the largest one out of the set. If you like this card, please pin it to Pinterest. 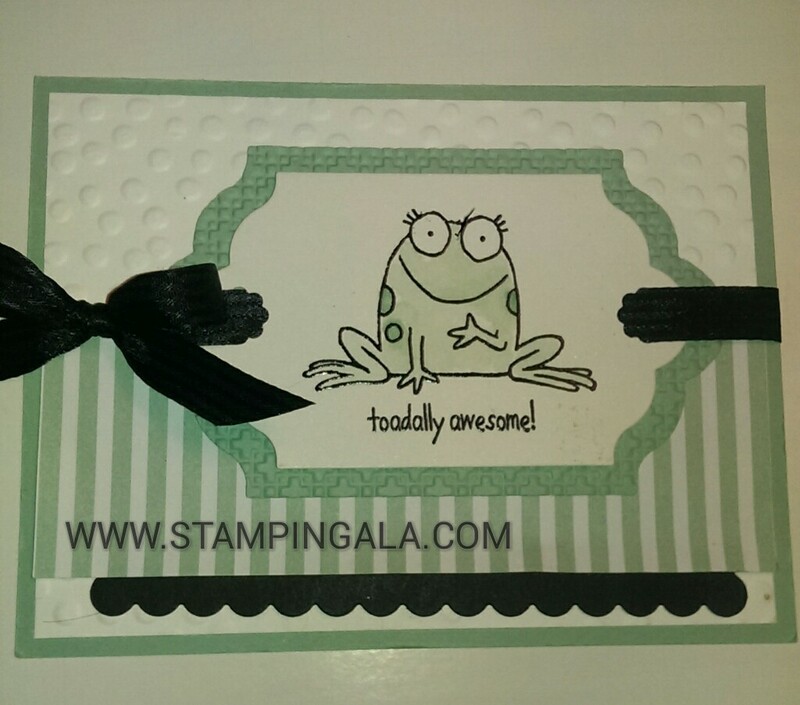 TO ORDER STAMPIN’ UP PRODUCTS 24/7 CLICK HERE. As always, thank you for choosing me as your Stampin Up Demostrator! !